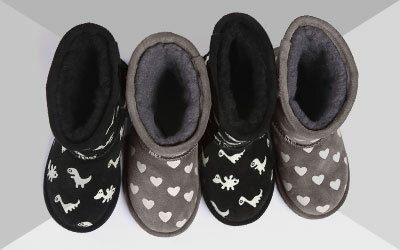 A celebrity favourite, the EMU Australia Ladybird is a children’s mid calf boot that is warm, soft and comfortable. Red soft suede with black spots is fully lined with Australian Merino wool for warmth and cosiness while all day comfort and support comes from the cushioning sole unit. The children’s warm and comfortable Little Creatures Ladybird boot features 3d applique, turning an Australian Merino lined boot into an iconic must have! 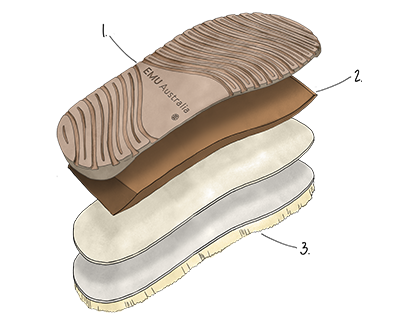 Lined with thick Australian Merino wool to deliver a warm, soft and durable fit, while a moulded heel cup and a dual layered EVA and rubber outsole provide unmatched comfort and support.